I’ve always been interested in period furniture and this wash stand provided an opportunity to investigate some techniques that were new to me. The fluted quarter-columns on either side of the cabinet front were turned and fluted on our shop lathe to add a more traditional flair to the piece. 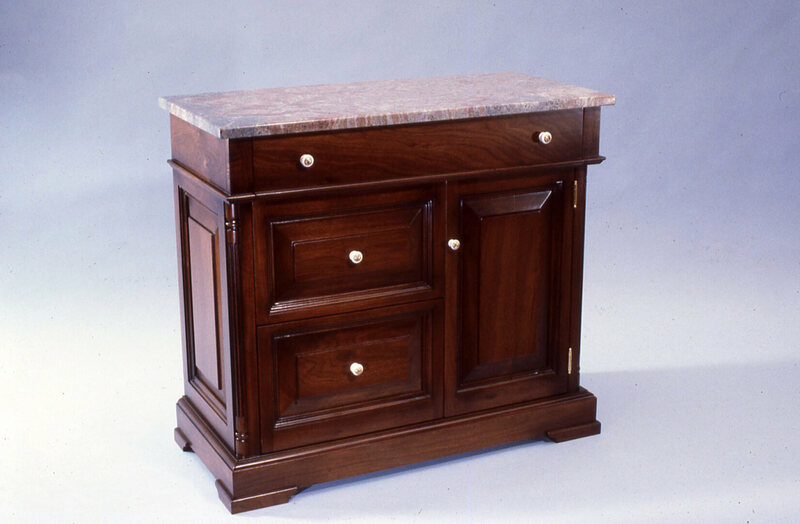 The granite top was made from a scrap piece left over from a previous job and was just too attractive not to build a cabinet to utilize it. The black walnut offered such rich tones with the lightly-distressed finish. 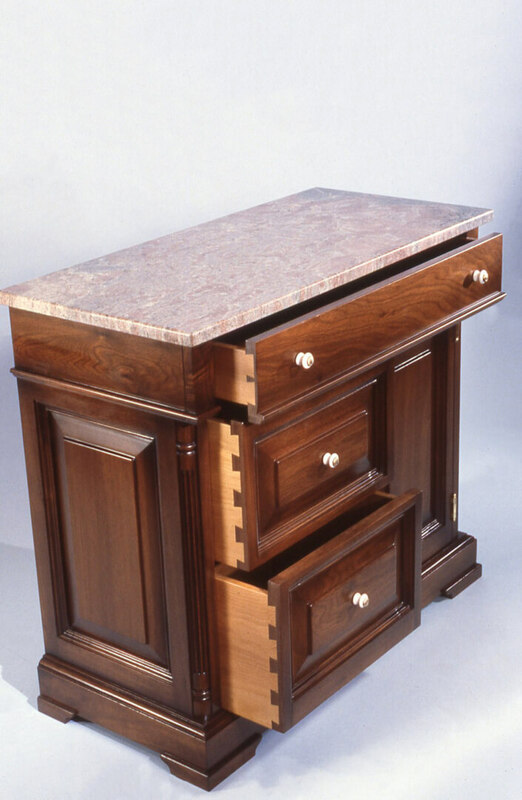 The project provided a rare opportunity to practice hand-cut dovetails for the drawers. The drawer sides are natural beech for contrast.